The first EP on the newly launched Seance label comes from Kryss Hyponowave, aka Christian Scalas, of Lanusei in beautiful Sardinia. Christian is a trained sound engineer from the Academy of Sound Engineering in London, and has been producing and DJing since he was 15. Still resident in Sardinia, he can count labels such as Planet Rhythm, Par Recordings, Complex Textures and Doppelgänger in his back catalogue. This EP is a tight, powerful collection of three originals and two remixes from Edit Select and DJ Datch. “Endosphora” shoots straight with a syncopated, insistent melody, infused with just the right amount of grunt, whilst a menacing atmosphere lurks and swirls in the background. Powerful kick drums emerge, changing the impression of the timing of the track in a delightful little shift, and then piercing percussion amps up the tension further. The body of the track is a pacy, nagging groove burrowing through a complex and uneasy background, which comes to the fore at the breakdown, as the groove filters out and then rises again for the drop. With more weight added to the bassline, the remainder of the tune is an incessant, rolling late night masterpiece. Edit Select takes on the remix duties on the title track, ramping up the pace a little and bringing the atmospheric background further front and centre. That fantastic looping melody has been shortened by a note and lowered like an XR2; its now a deep and powerful one bar bass hook. Surgical, echoing percussion brings out the atmosphere further, ever so slowly, matched by increasing kick drum pressure. The bass and kicks cut out suddenly, almost shockingly, and dense, swirling notes envelop the listener for a brief interlude, until the bottom end muscles back in to see the track out, further down the rabbit hole. “Eksosporium” lightens the atmosphere with an ethereal, floating melody underpinned by a fast panning bass synth, and straight kicks/hats. 90 seconds in is a beautiful switch up in the percussion, just excellent work on the hats which come right to the front for a minute or so, before a third line of percussive cymbals are introduced over the growing atmosphere underneath. I’m reminded of Minologue in this production, and it sets off the rest of the EP fantastically. “Anaerobi” opens like a lead weight with a crypt-like exhalation and immediately envelops you in its folds – no escape, the closer you pay attention, the more sub you discover, rolling and churning away deep, deep down. Two step like hi-hats are backed up by a lean handclap and second, skittering hat line, The kick drum builds in subtle power and you can feel the intensity rising accordingly. This is one of those tracks where you could swear the tempo is increasing when in fact it is rock steady. No mean feat. Creeping, acid tinged synths bring a the drama in the breakdown and continue to build through the later part of the track, panning and mutating around the listeners head. Simply put, a powerful, intricate yet simple slice of contemporary techno. The track of the EP for me. The package is rounded out nicely with a superb remix of “Anaerobi” by the fantastic DJ Datch. 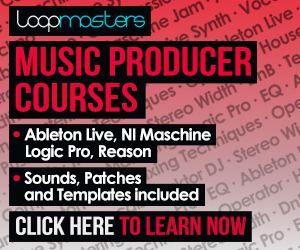 Muscular kicks and muted hats provide the structure to that synth line from the breakdown of the original track, here used as a melody throughout, echoing and chiming with a tinge of dub over the bassline, which is much more forward in the remix. An understated break drops, further turning up the heat – very much incepting with the other tracks on the disc, and testament to Datch’s skill as a remixer. All five tracks on this release are well worth your money and will work an absolute threat in the right environment. The EP is available on digital (all 5 tracks) now, and on limited vinyl (3 tracks, Endosphora + remix, Eksosporium) direct from the Seance store, with regular copies from the usual vinyl outlets. It’s great to be the first artist to release a vinyl on a new label. 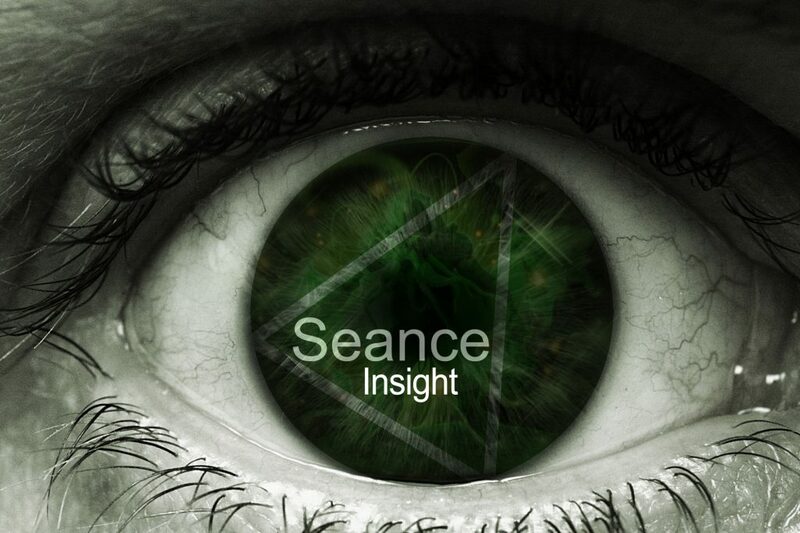 Can you tell us a bit about how the relationship with Seance developed? What first brought you to music? I really like the juxtaposition of atmospheric parts and powerful beats in the tracks, was there an inspiration for this particular style? For me, music is like a design. I imagine the track in my mind before creating it, usually beginning from the atmosphere and then slowly inserting the rest of the sounds. I like the sound hypnotic and deep. How did you choose the artists that you wanted for the remixes? I choose them for their style, because their sound fits the music. DJ Datch, before being a great artist, is also dear friend indeed a brother. We have known each other for many years and often do productions together. For Edit Select I love his style, very similar to mine. Tell us about life (and the techno scene) in Sardinia! In Italy there are really great artists in techno, but as often happens they are not valued at home. There are many interesting young producers and labels who make beautiful productions, techno is really coming back very strong in Italy. I hope is not just a fad! Do you have any plans for what’s next (that you can tell us about, anyway)? Of course, at the end of October will be released my second album “Ambient” on Anay records (Japan). In a couple of months will be released a remix on vinyl but it’s top secret! I will continue with my productions in techno, work in my recording studio, experiment with music and I would like to work in the world of soundtracks… this is my dream.